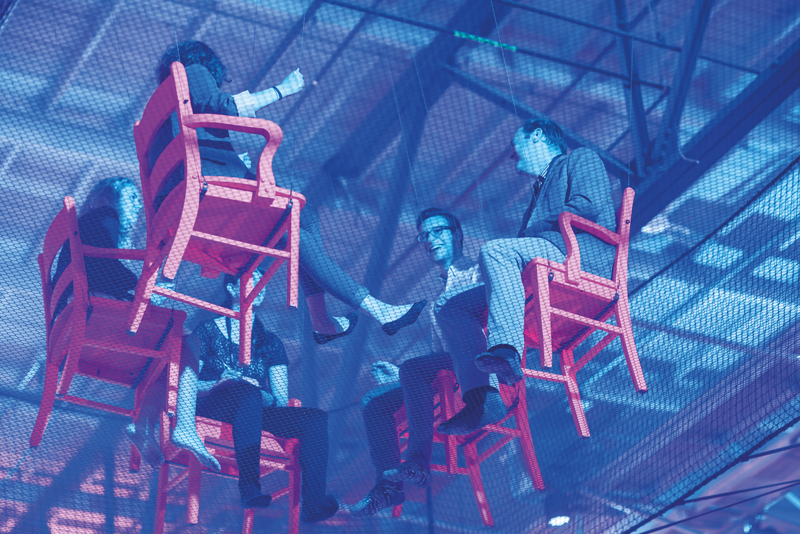 C2 Montréal has turned the presentation of business conferences on its head. The idea behind C2, which first launched in 2012, is to reinvent conferences, to banish the mundane and to create an anti-conference that challenges, disrupts and exceeds all that’s gone before. Even the idea was conceived uniquely, in a 24-hour brainstorming session – led by the renowned creative agency Sid Lee and friends, in Montreal. 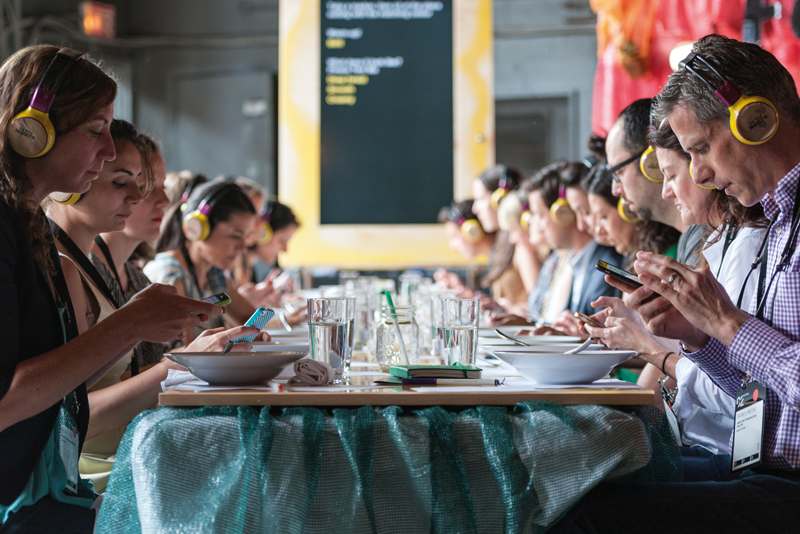 The ultimate aim is "to shift the attendees from being spectators to being actors", according to Antoine Roy-Larouche, the director of collaborative experiences at C2: "It’s about living something that will transform you." And it’s no coincidence that Montréal is at the heart of C2, the place it was born and is based, a diverse city that mixes language and culture, old and new. 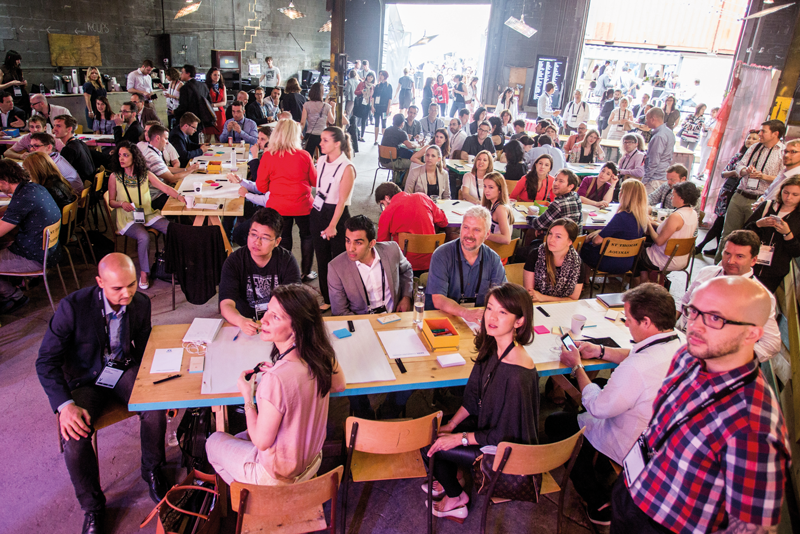 The three-day event, taking place on 24-26 May, brings visionaries and thought-leaders together from across the globe to explore the relationship between commerce and creativity, and its potential to disrupt and redefine business. "The Many" is this year’s theme, focusing on how influence is shifting away from the corporate few and into the hands of savvy consumers, entrepreneurs and organisations who dare to collaborate, even with their competitors. According to C2: "The strategies that grew yesterday’s giants are now recipes for their own obsolescence; tomorrow’s success stories will be built on a sense of collective purpose. This profound mutation will completely rewire how we collaborate, how we share, how we learn, how we work and how we build." Many people go to conferences purely to network. Yet for some – even the most accomplished – the word "networking" breeds fear, awkwardness, discomfort or boredom. So, C2 has re-engineered networking, introducing "brain dates". You pick a person, time and place, then book in to meet them in advance using an app, designed by the Montreal-based EdTech platform E-180. No need to lurk near the cloakroom to strike up an uninspiring conflab with someone about the unpredictable weather. Instead, you can book your time wisely to ensure meaningful interactions and maximise your learning. What’s more, "brain-dating" has proven commercial results. That’s unsurprising given that C2 attracts 5,000 people from more than 43 countries and more than 24 industries, and the majority of attendees (90 per cent) are key decision-makers. A study by PwC in 2015 showed that one in three companies made a deal at that year’s event, resulting in an economic impact of more than £68 million. When you’re not learning from the likes of VICE Media or meeting your brain or business soulmate, there’s plenty more to inspire and entertain you at The Plaza. If you need to take a break from the sparkling speaker line-up or workshops, head to one of the bright and bustling pop-up shops or local food stalls. There’s an opportunity to reflect on what you’ve seen and heard or carry on meeting people and exchanging ideas. And don’t be afraid to channel your inner infant and play. Albert Einstein once said that "play is the highest form of research" – and later studies have shown inextricable links with creativity. 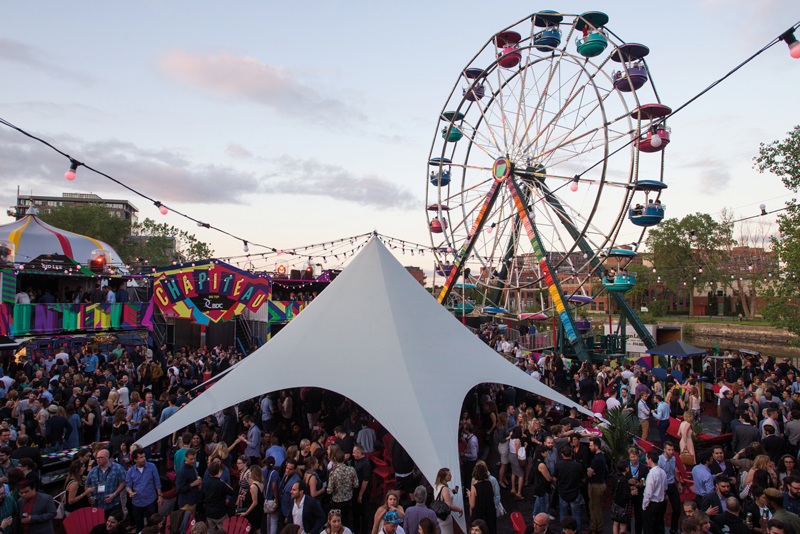 In 2015, C2 housed a giant Ferris wheel among other crowd-pleasing carnival games. 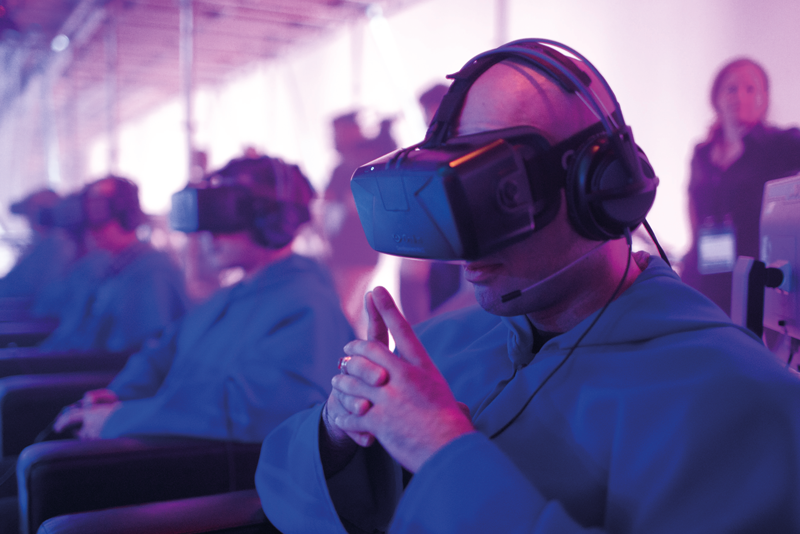 This year, there’s more excitement with live entertainment from Cirque du Soleil, Moment Factory, Montreal’s International Jazz Festival and Moby. With so much on offer, how do you find time to take notes and record all those practical tips? You don’t have to – C2 does it for you. The Minutes is a comprehensive book of insights, learning and highlights from the entire three days, including talks, workshops and conversations. It’s available to attendees in electronic or print versions, so you can avoid repetitive strain injury and enjoy everything else that’s going on. If you’re anticipating a repeat of last year, you’re about to be surprised. Génifère Legrand, the vice-president, creation at C2, says: "We start with a clean slate each year, take the comments from participants and learn from them, and every year we improve the experience." So what can you expect? All evidence points toward something quirky, different and eye-widening but that won’t stop us guessing.